OK, me? What would you like to know? I work part-time with stained glass and part-time as an Admin Assistant for a drainage firm. 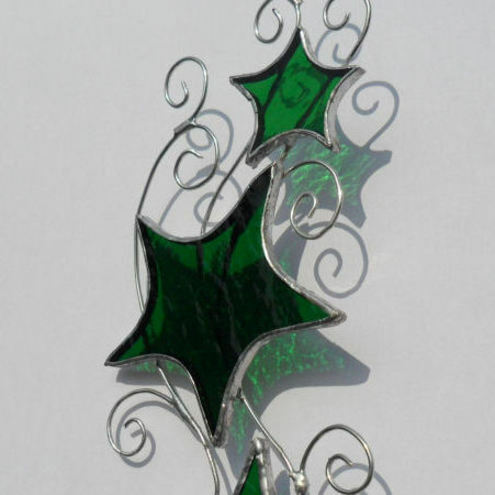 After the candle holders were finished I looked around for something else to make and while browsing the internet came across some tattoo designs which I thought would look great made in glass and wire. 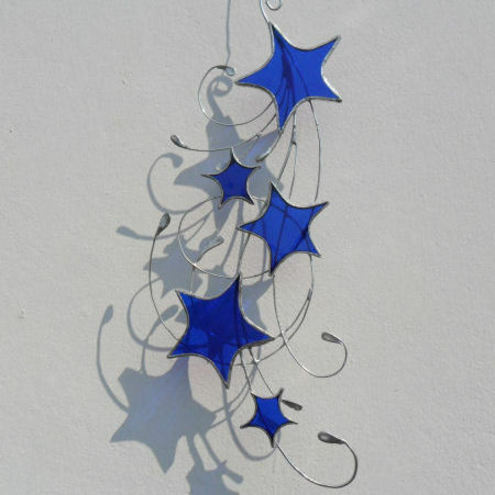 A quick shopping spell online got me all the bits and pieces I thought I’d need and my Stars & Swirls and Stars & Curls Suncatchers were born. 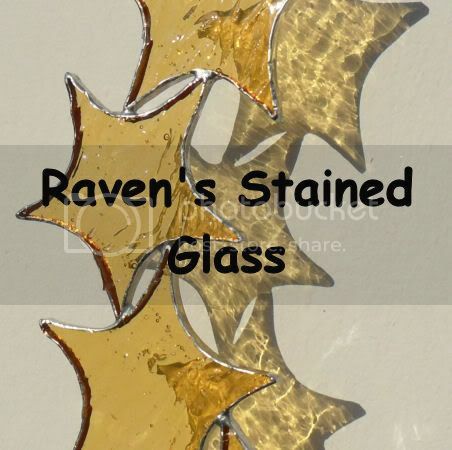 At this point something kind of important happened, two girls on my girls motorcycle forum, Bike Girl, bought two of my Stars pieces and Ravens Stained Glass was born. 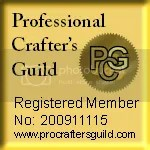 I registered with a couple of online shopping outlets and started to list my stained glass pieces and they sold! People actually liked my work enough to buy it! I was amazed and very grateful and have not looked back since. 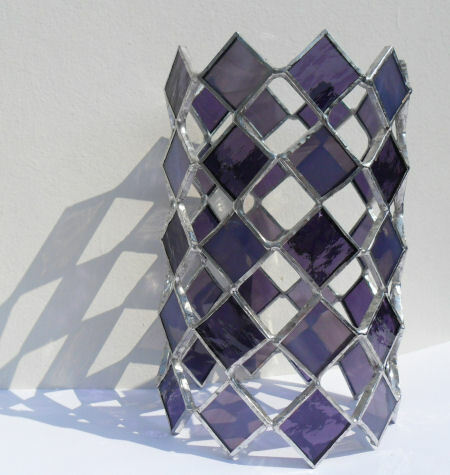 If you would like to take a look at the current pieces of work in my shop please follow this link to my website Raven’s Stained Glass and you can also follow my blog by clicking on the subscription link. The items I’ve bought from you are lovely. I can’t wait to give one of them as a gift. The colours are vibrant and rich and the designs pleasing.